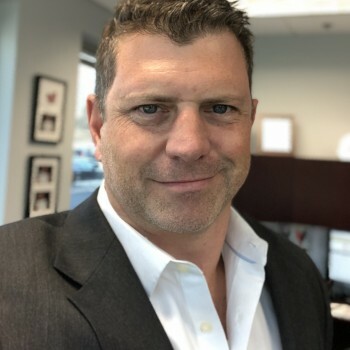 As co-founder of Accordia Realty Ventures, Jason’s roles includes overseeing the financial aspects of the business, including underwriting new transactions, debt placement, joint venture relationships, asset management and general day to day financial oversight of the company. In addition, Jason works closely with Accordia’s marketing teams and often oversees both tenant improvement and capital programs for Accordia’s properties in a construction management role. In the acquisition role, Jason has underwritten hundreds of opportunities in almost every asset class. Once an asset is identified he and will manage the purchase and sale process, due diligence and equity raising/joint venture structuring through to closing. Prior to coming to Accordia, Jason served as Vice President of Leasing and subsequently Director of Development in the New Jersey Region at Advance Realty Group, a private commercial real estate developer/manager/investor Jason’s primary responsibility was evaluating the economic viability of new development opportunities amongst existing market conditions. In addition it was his responsibility for underwriting all financial aspects of each project, for strategizing investment parameters, and interacting closely with other departments of the company, to make go/no-go investment decisions. Jason had also focused on leasing and marketing of new development projects as well as playing an integral role in negotiating purchase & sale contracts, joint venture agreements, and commercial leases. Prior to joining the Development Group, Jason worked in Advance’s Capital Markets & Acquisitions Group. His job duties included evaluating individual acquisition opportunities for the company, creating financial models for joint venture acquisitions, and facilitating joint venture relationships and debt financings, as well as valuing Advance’s internal portfolio. He has been involved in almost $300 million of real estate acquisitions and dispositions and has underwritten and evaluated over $1 billion in potential acquisition opportunities. Jason graduated from New York University’s Real Estate Institute with a Master of Science in Real Estate Investment and Asset Management. His undergraduate degree is a Bachelors of Science in Communications from the University of Miami.